Blue Lance is a global provider of Cyber Governance solutions. Headquartered in Houston, Texas, for 26 years Blue Lance has been committed to corporate vitality and helping companies with the safekeeping of their digitally managed assets. As a trusted partner, we continue to expand our solutions as the complexity of organizational risk increases due to sophisticated Cyber thieves and increasingly complicated industry and government regulations. Today, Blue Lance continues to stand with you as a trusted partner offering Cyber Governance Solutions that enable confident oversight and validation of audit readiness for internal policies, industry or government regulations; and the safe keeping of your confidential information, trade secrets, intellectual property, critical infrastructure, and other digitally-managed assets. Acts in all endeavors with an ethical, honest mindset, and in a professional manner. Honors commitments, keeps promises and builds trust. Is truthful in all actions and communications. Values and recognizes every individual for their unique skills, talents, and contributions. Actively listens to understand others and gives them their undivided attention. Is courteous, responsive, and professional. Treats every person with kindness, humility and empathy. Encourages a trusting environment by being genuine and transparent in actions and communications. Supports a healthy personal and professional balance. Commits to being a good corporate citizen. Dedication to superior quality in all aspects of our professional efforts. Passionately drives to exceed expectations in everything we do. Commits to ongoing personal and professional development. Takes ownership of, and responsibility for actions and uses outcomes as learning opportunities. Gives and seeks clear expectations and priorities. Communicates impact and implications of proposed plans and actions. Maintains focus on long-term goals while meeting short-term needs. Initiate change rather than react to events. Make things happen, anticipate and overcome hurdles. Embraces the 5 P’s: Prior Planning Prevents Poor Performance. Commits to a win-win partnership approach to achieve desired results. Thoughtful, disciplined and structured approach to “do it” right. Listens, cooperates and share across the organization. Strives to exceed customer’s needs and expectations through competence, innovation and teamwork. Consistently and continually deliver and expand value to our customers. Actively listen and engage customers to understand their challenges. Creatively explore new and diverse ideas. Study emerging trends in the marketplace. Deliver elegant, high value solutions with passion, desire and commitment. 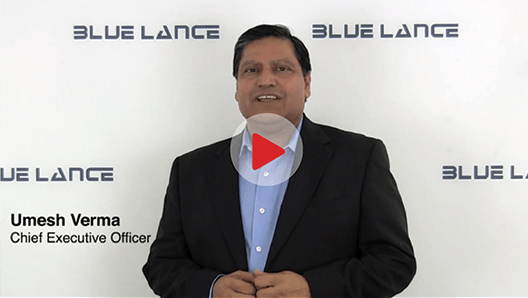 Over the past quarter century, Mr. Verma has built BLUE LANCE into a global provider of Oversight solutions that help key stakeholders in organizations confidently fulfill their Cybersecurity Governance responsibilities. Mr. Verma started his software career developing cooling pond algorithms as an Environmental Engineer at Brown & Root. Thereafter, he developed off-shore oil rig operations and control software for Shell Oil before founding BLUE LANCE. He currently serves as Chairman of the Greater Houston Partnership Cybersecurity Task force whose mission is to (1) create a common set of recommendations to help suppliers strengthen their operations against cyber infiltration; (2) educate and inform small to medium sized businesses of these recommendations to strengthen their cyber posture and attract enterprises to employ their products and services; and (3) build regional consensus on cyber security issues identifying any policy changes needed at the local, state and federal levels. 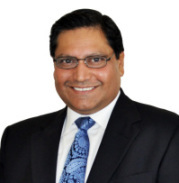 Mr. Verma serves on the boards of The Greater Houston Partnership, Center for Houston’s Future, Houston Technology Center, Greater Houston Healthconnect, University of Houston College of Technology, and American Diabetes Association. Mr. Verma is a Future 500 Upside Award recipient, a recent Ernst & Young Entrepreneur of the Year finalist, and a Houston Technology Center distinguished entrepreneur. Peter Thomas is responsible for driving development and innovation at Blue Lance and heads the engineering team. Peter joined Blue Lance in 1995. 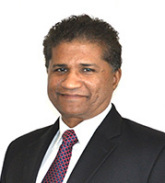 Prior to Blue Lance, he was the General Manager at Softec International where he led technical software teams. 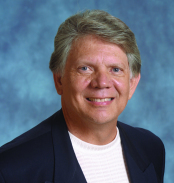 Peter holds a Bachelor of Engineering degree and an MBA from the University of Houston. Lane Sloan had a 29 year career with Shell Oil Company including positions of VP Corporate Planning, CFO, and President of Shell Chemical Company. He held senior assignments with Royal Dutch/ Shell as Regional Coordinator for the Far East and Director of the East Zone in Oil Products. He is President of Sloan Consulting Services and a Silver Fox Advisor. Lane previously taught corporate strategy and strategic leadership courses at the University of Houston and co-authored Terra Incognita: A Navigation Aid for Energy Leaders. He sits on the boards of Davidson Instruments, Quantapoint, Houston Technology Center, and the advisory board of Blue Lance. Howard London, has been a property acquisition, property marketing, property management and business management expert for 47 years. His goal is always to provide property buyers, sellers and investors with the expertise to help them make a cost effective, “Stress Free” sale or acquisition. He understands the needs of buyers, sellers and investors. For many years London was a CEO/entrepreneur/owner and a professional business development consultant. He has extensive experience in advertising, marketing, sales, management, business and strategic planning and business communications. London’s civil engineering education at City University of New York combined with his diversified business ownership, and real estate consulting activities provides his clients with a wealth of construction, technical, creative, financial, management and administrative knowledge.